Editor’s note: Tomorrow is Safer Internet Day, and we’ll be talking about it all week with a collection of posts from teams around Google. This year’s Safer Internet Day theme is “Together for a better internet.” That’s something we can really get behind—joining forces with other organizations to help make the internet safer for everyone, especially younger kids. 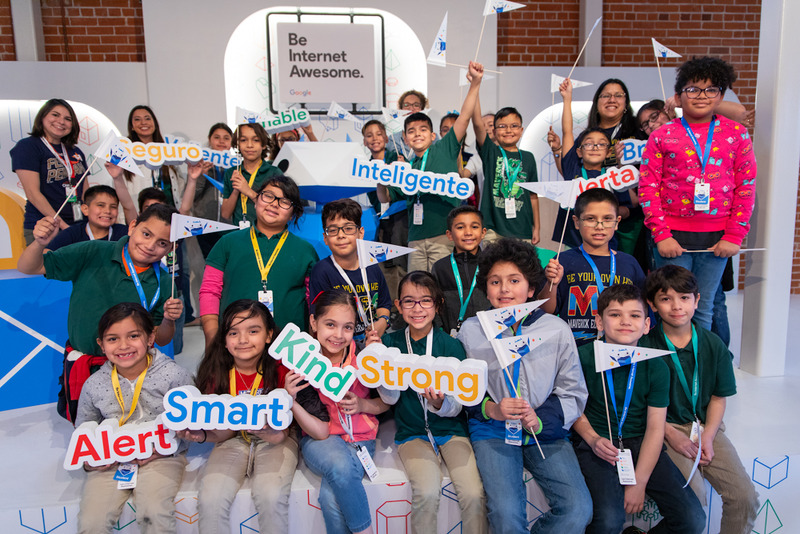 We’re kicking off a week of announcements, starting in San Antonio with the Be Internet Awesome adventure, a bilingual interactive space designed with hands-on activities to help kids and families learn the fundamental lessons of online safety and citizenship. This year, cyberbullying rose to the number one online safety concern for teachers (up from number four last year). Maurine Molak, the co-founder of David’s Legacy Foundation, said the first step to reducing cyberbullying is to help kids understand that if you wouldn’t say something in real life, you shouldn’t say it online. Through her work raising awareness and support for anti-cyberbullying legislation, she has observed that teens are often the most influential teachers because younger kids look up to them.